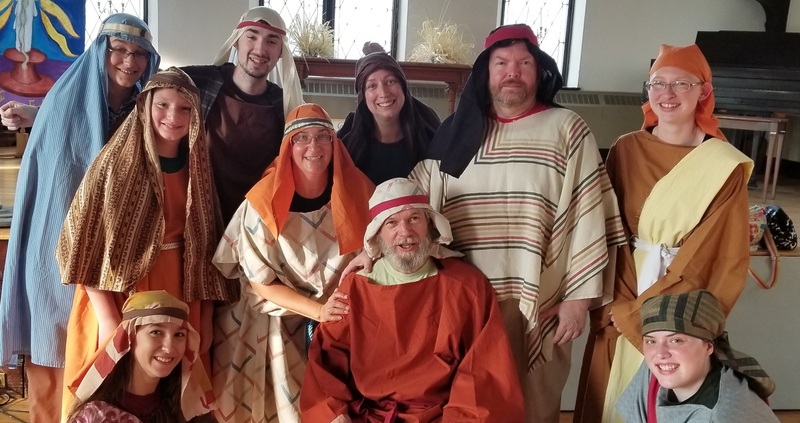 The Endless Mountains Theatre Company (EMTC) presents Joseph and the Amazing Technicolor Dreamcoat to the stage this Thursday to Sunday, Aug. 2 to 5, in the Elk Lake High School auditorium, 2380 Elk Lake School Rd., Springville. The family-friendly musical, with lyrics by Tim Rice and music by Andrew Lloyd Webber, is based on the Biblical story of Joseph’s “coat of many colors” in the book of Genesis. Narrators Kathryn Curry Dibble, Maddi Button and Angela Klawiter guide the story through songs. The production stars Ben Knox as Joseph. Ian Robinson appears as Pharoah, and Sam Corey as Potiphar. Joseph’s brothers are jealous of him and their father’s preference for him. Joseph’s dreams also indicate that he is destined to rule over them. The brothers first attempt to kill Joseph but end up selling him as a slave. He is taken to Egypt and the brothers tell their father Joseph had been killed. Joseph rises through the ranks as a slave in Potiphar’s house but winds up imprisoned. But his ability to interpret dreams gets the attention of the Pharoah, and Joseph becomes a powerful man in Egypt, second only to the Pharoah. Through a series of events, Joseph is reunited with his brothers and his father. This EMTC production is being directed by Bob DeLuca. Heather Pearsall serves as the musical director. Joseph and the Amazing Technicolor Dreamcoat hits the stage with performances Thursday through Saturday at 7 p.m. There is also a matinee on Sunday, Aug. 5 at 3 p.m. Tickets will be available at the door the day of the show. Admission to Thursday’s opening night performance will be offered at a discounted rate of $10 for all seats (no other discounts apply for this performance). Tickets for Friday to Sunday shows are $14 for adults and $12 for students/seniors. EMTC is a non-profit theater company bringing the excitement of the live stage to Susquehanna County. We are always looking for people who enjoy the arts to become part of our shows – both onstage and behind the scenes. For more information about Endless Mountains Theatre Company’s shows, upcoming auditions, find them on Facebook, or email emtc@nep.net. For information on how you help sustain the theater arts initiatives in Susquehanna County with a supporting membership, email emtc@nep.net.